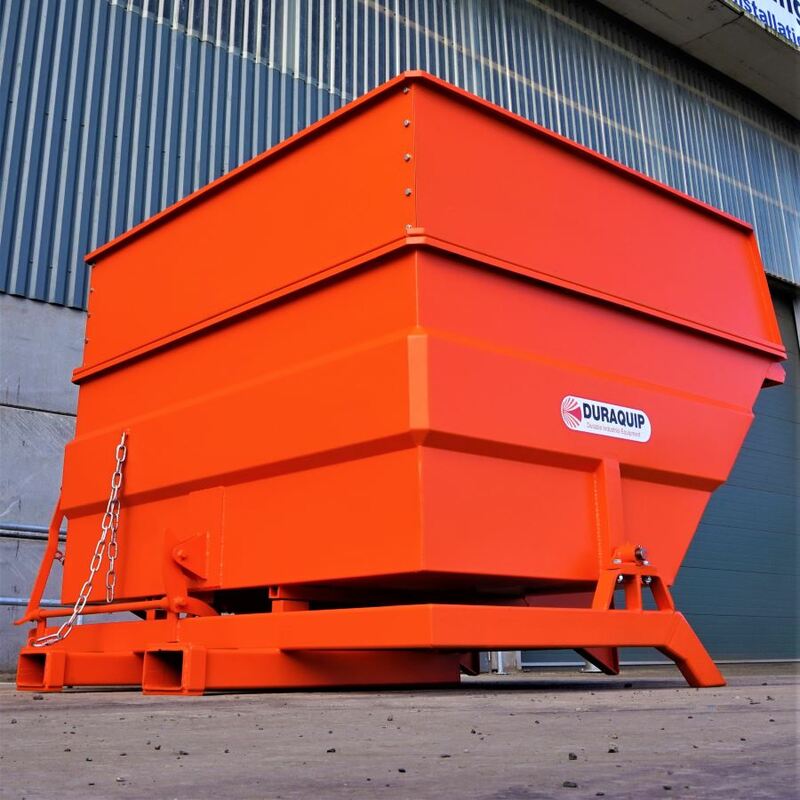 Duraquip’s tipping skips are ideal for large industrial load requirements. 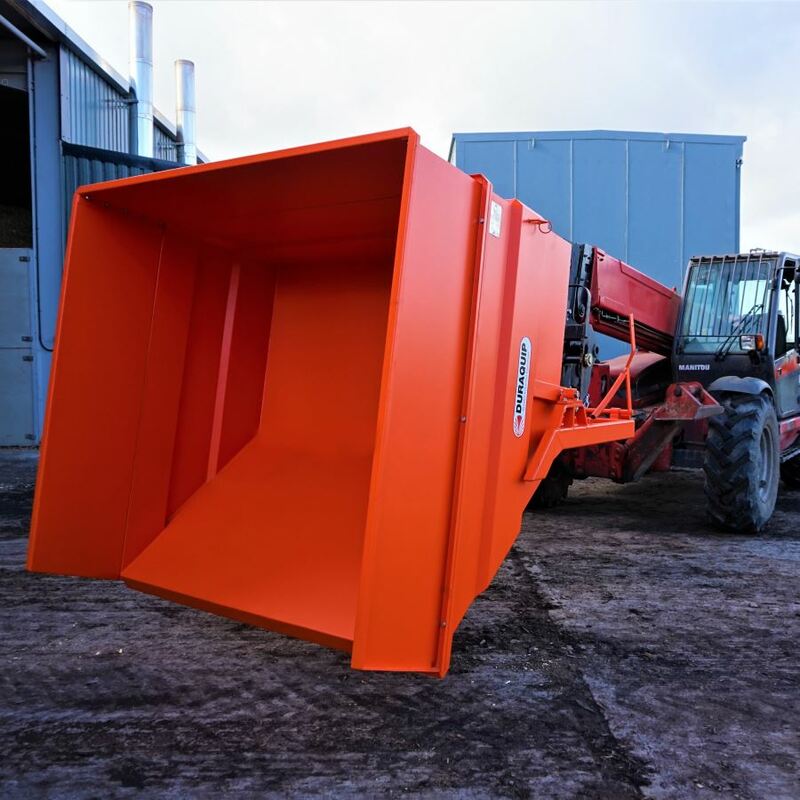 Our tipping skips are manufactured with a durable frame and integrated fork sleeves for use with forklift trucks and telehandlers. We offer the TSK50 as a standard option - please enquire about our other sizes using the form below. This range of self-tipping skips are manufactured from a choice of 3mm or 5mm steel shell and have reinforced edging on the sides to increase strength and durability. This allows them to withstand the daily knocks and repeated rough usage that such equipment can often be subjected to. 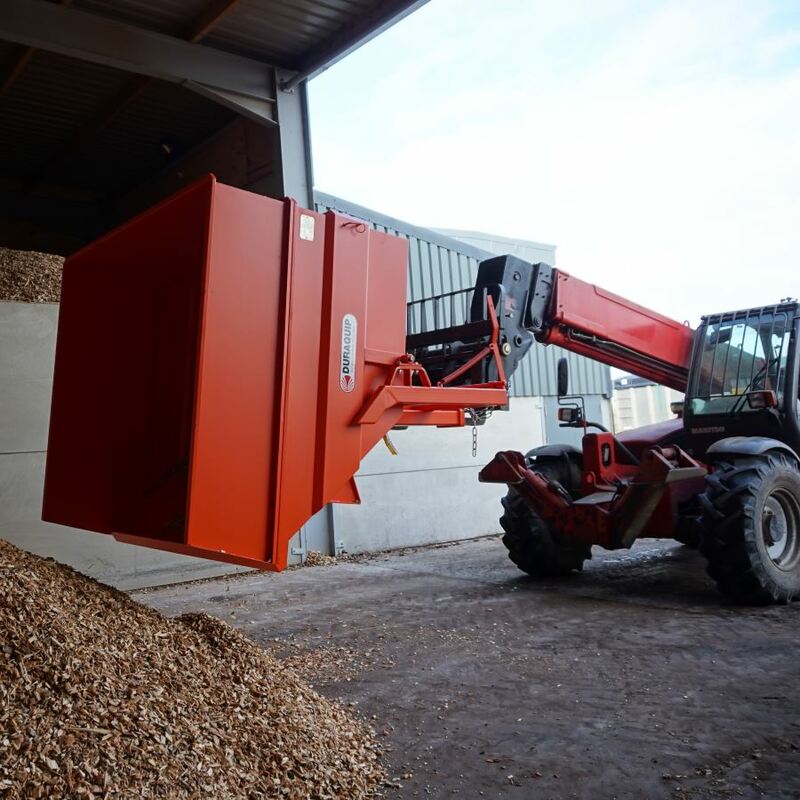 The large volume tip skip can be emptied easily from driver height using the tipping handle to carry out a controlled tip. 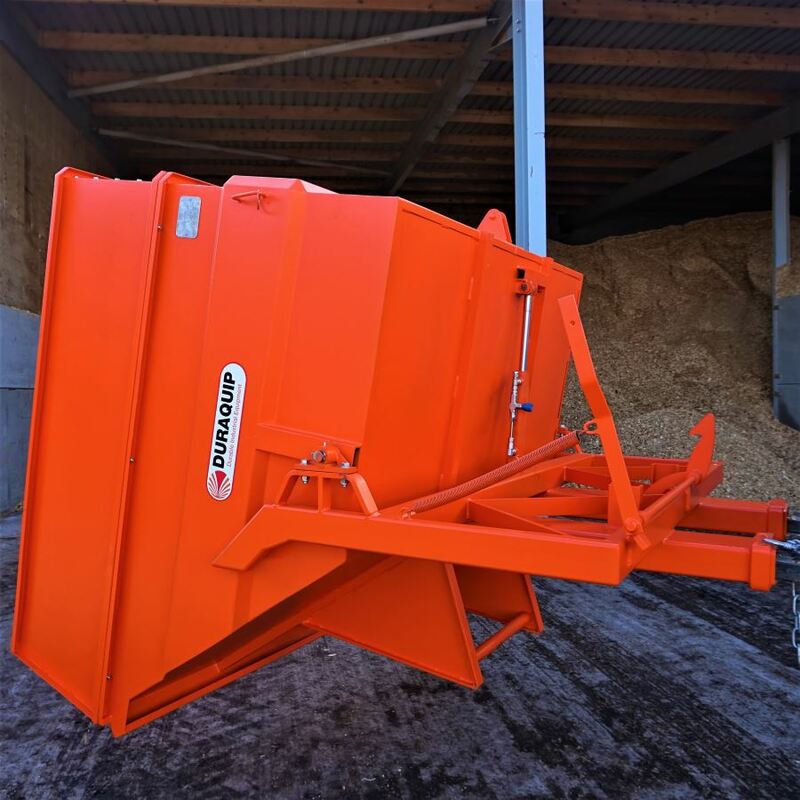 To prevent unintentional tipping the Duraquip design features a safety chain to hold the tipping skip secure until the correct moment for controlled tipping. 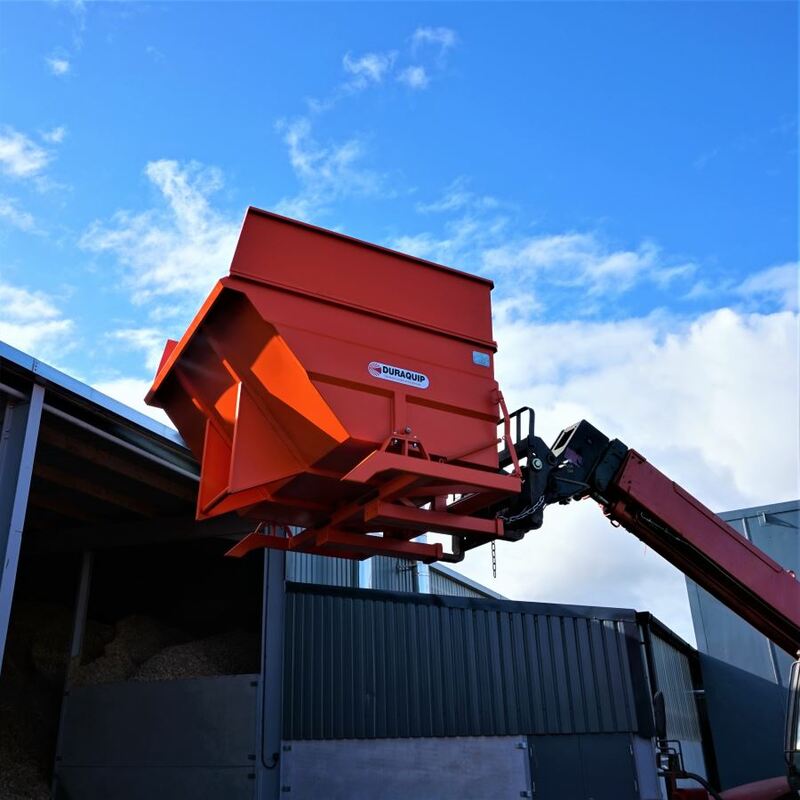 These tipping skips can be upgraded with a lid that can be opened from both sides allowing for easy access for filling or selective removal of materials. 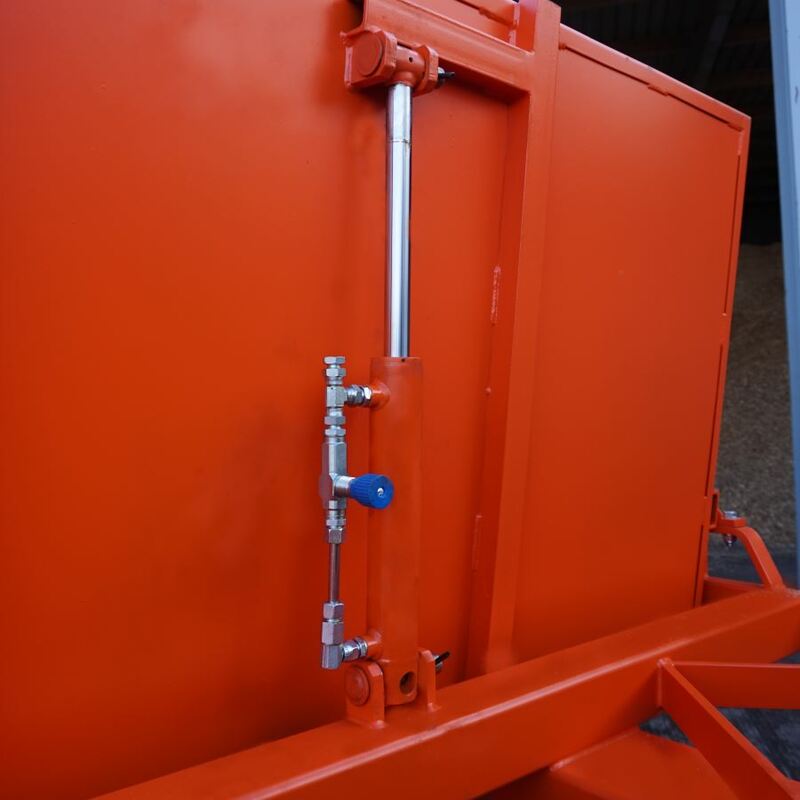 Another additional option to this design of this self tipping skip is an adjustable dumping brake for a more controlled tip. These tipping skips have been designed and manufactured in our workshop in Cumbria for nearly 30 years. 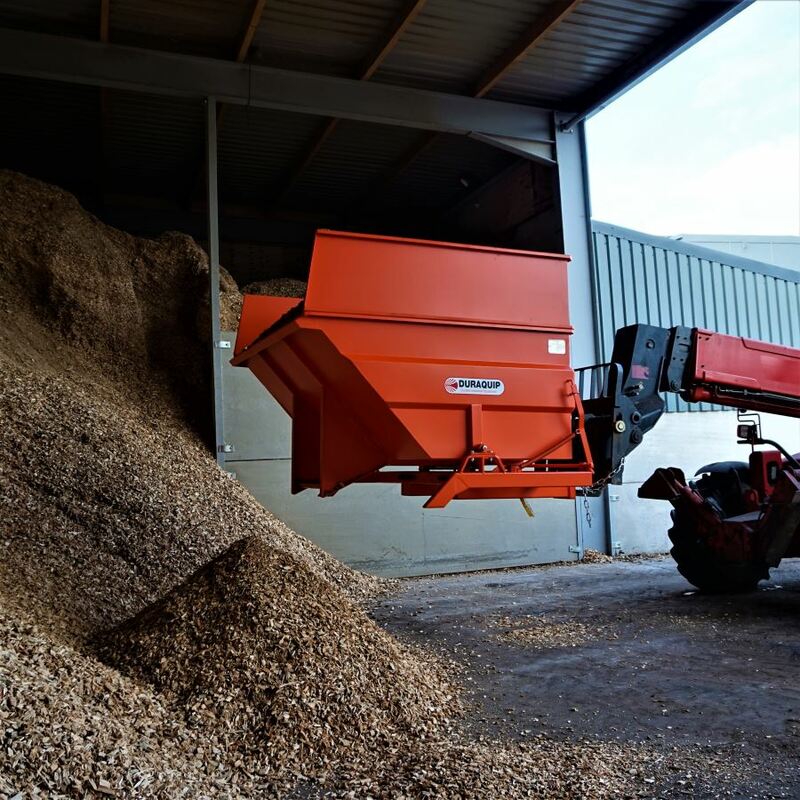 Through continuous development we have been able to engineer them for numerous industrial applications to satisfy a widening range of material handling needs and the changing demands of industrial users. Shipping is available within the UK and Ireland. For International Shipping please contact us using the form below for pricing and further information.